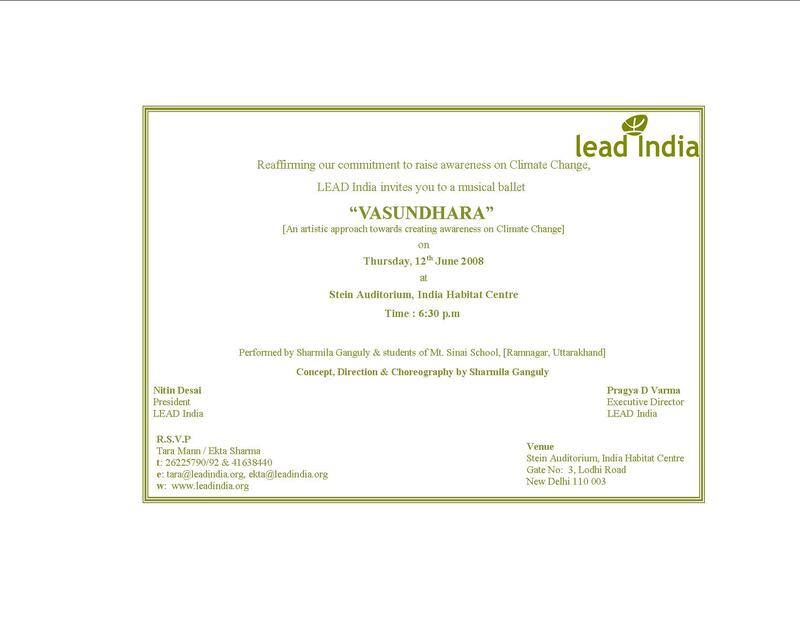 Vasundhara – An Artistic Approach towards Creating Awareness on Climate Change. LEAD India invites all to a musical ballet performed by Sharmila Ganguly and Students of Mt. Sinai School (Ramnagar, Utarakhand) – in a first of its kind attempt to use artistic skills for creating awareness on the issue of Climate Change.